Please note, the following pages are not “live”. 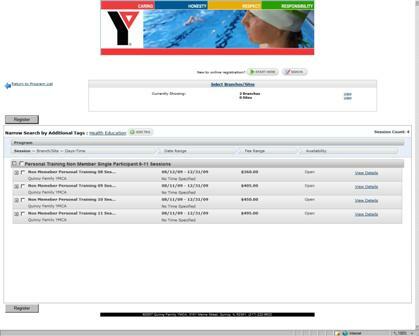 The images are taken from the Online Registration process. Please read the instructions as you progress through the tutorial screens. At the end of the tutorial, you will be directed to the actual Online Registration website. 1. 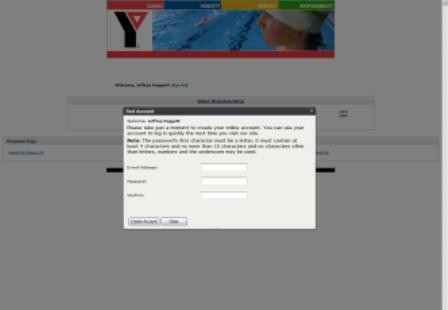 If this is your first experience with online registration, click the upper right hand corner that indicates “NEW TO ONLINE REGISTRATION” After you click “New to Online Registration” a pop-up box like the one below will appear. 3. Search for your account by filling in the indicated fields. The system is highly sensitive and all data fields must return a 100% match to access your account. Important Note: If you are unable to locate your membership information, please call our Welcome Desk at 217-222-9622, and we will be happy to assist you with your program registration. 4. 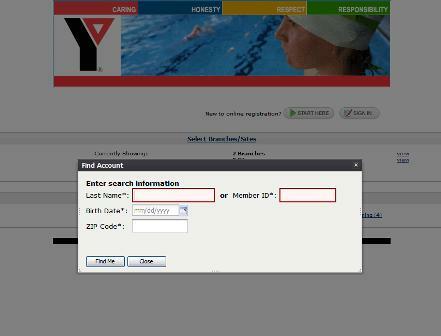 If you locate your record in the database you will be prompted to “Create Your Online Account”. 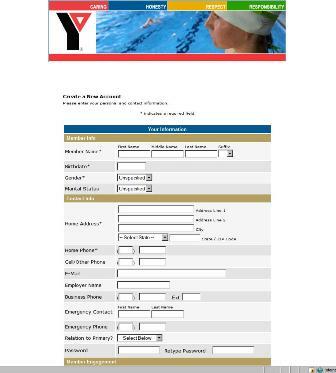 Your email account and password will be used in the future to register for any of our YMCA programs available for online registration. 6. Create a new account through a screen like the one below. DO NOT use ALL CAPS to set up your account. IMPORTANT NOTE: YOUTH REGISTRATIONS: When registering a child for a program, please add the adult responsible for the registration first. This will allow better access to Emergency Contact Information. 8. Carefully select the time segment that best suits your needs from a screen like the one below. All programs require payment at the time of registration; Visa, Mastercard and Discover are accepted. If you are a member and already have a payment method on file (credit card or bank draft), your existing payment information may be used.